OutBack Power’s EnergyCell FLA batteries are designed for residential or light-commercial off-grid renewable energy power demands. 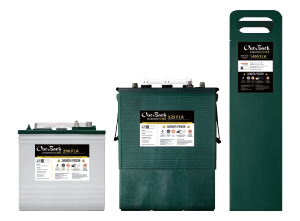 Optimized to work seamlessly with OutBack power conversion equipment, these batteries are a perfect addition to the OutBack single-brand system solution. Built for rugged, deep cycle cell construction, these batteries deliver superior performance and longevity.